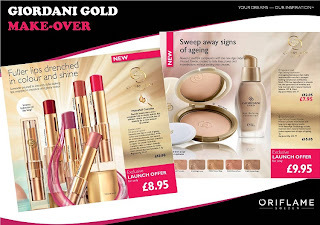 This Catalogue takes us through to May and is filled with spring & summer must have Oriflame offers! We have the new Optimals launch ,a new fragrance for him, plus, we’re launching our new Sun Zone protection creams and sprays ready for that heat wave we’re all expecting. 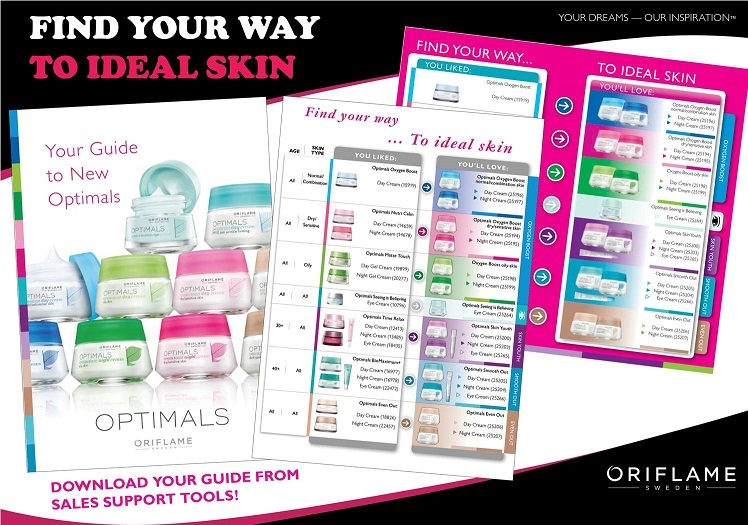 We have a lot to get through this Catalogue so lets get started with the Optimals skin care range re-launch we’ve all been waiting for. 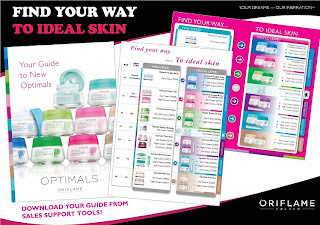 Optimals is one of Oriflame skincare’s best loved product ranges, so much so that we sell over 15 million Optimals products worldwide every year! As you all know, Oriflame are always looking for ways to improve even the best-selling ranges and we’re sure you’re all going to love the new Optimals range. The key changes and improvements that you should know about to help you talk about the range is the new world-exclusive patented technology. 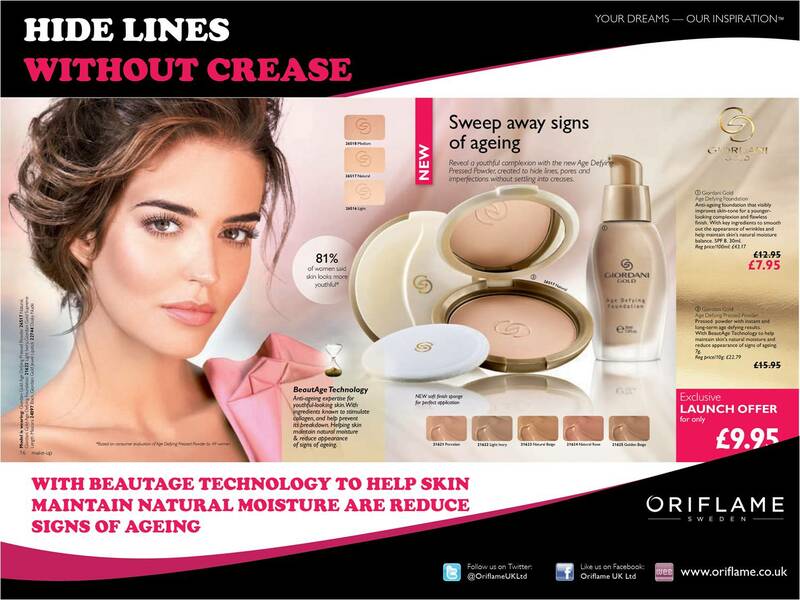 Oriflame have now added Lingon 50:50, our new patented technology derived from the Scandinavian lingonberry. The lingonberry can withstand arctic temperatures of -40 degrees so imagine what a resistant like this could do for your skin…. Amazingly, when Oriflame scientists combined the 2 extracts (that’s 50% berry and 50% leaf) the antioxidant content was multiplied, making it far more powerful than other European berries and a greater protector for your skin. Lingon 50:50, the protective antioxidant technology neautralises the effects of environmental stress and allows the skin cells to function normally whilst helping them to regenerate. This technology is so unique that it had to be patented. It is EXCLUSIVE to Oriflame. 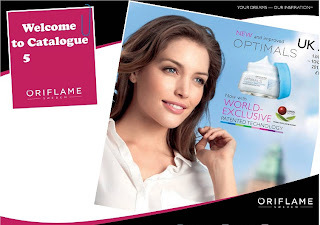 Oriflame aim for the product names to be clearer, making it as simple as possible for you to buy . For instance Time Relax has changed to Skin Youth and Smooth Out will replace BioMaximum. The bestsellers have been kept, like Oxygen Boost and we’re maximizing the potential by offering options for dry/sensitive, normal/combination and oily skin. Honestly, choosing the right Optimals has never been so easy. 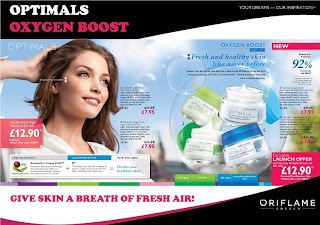 The first of the Optimals to be re-launched are here in Catalogue 5 with Oxygen Boost for Normal/Combination Skin and Optimals Oxygen Boost for Oily Skin. Both these Oxygen Boost ranges incorporate the protective antioxidant technology of Lingon 50:50 with Oxygen-attracting properties to boost healthy cell respiration. The range is for all ages and ideal for women who feel their skin is negatively impacted by the environment and needs a breath of fresh air. The results is healthier, refreshed and hydrated skin that’s protected against environmental aggressors such as UV, stress and pollution. It’s a perfect Skin Care range for smokers too! Both the Normal/Combination & Oily Skin Oxygen Boost Day & Night Creams are on offer here in Catalogue 5. Customers can get a complete skin care set for just £12.90 when you order the exclusive offer code. We have the Optimals Smooth Out creams re-launched here too. Again it includes Lingon 50:50 but added Magnesium, a mineral essential for the good health of your skin. It’s ideal for women in their 40’s dreaming of a more youthful appearance and in search of a skin care solution that targets wrinkles and a lack of firmness. The result is a prolonged youthful appearance with smoother skin and improved elasticity and visibly reduced wrinkles. In addition to the Day and Night Creams we’ll be following with Cleansers and Toners for Normal, Oily and Dry/Sensitive skins as well as Eye Creams tailored to specific skin needs. All these are coming soon so keep a watch! We have new product lines added in Make-Up too this Catalogue. We have the gorgeous Voluptuous Lipstick with HydraFull Complex and a new Age Defying Pressed Powder from our Giordani Gold range. The lipstick melts onto the lips in one simple stroke and feels sophisticated and comfortable to wear. It’s wrapped in powerful moisturisers and a tri-peptide to hydrate lips whilst enhancing volume. The unique HydraFull Complex has been clinically proven to keep lips moisturized for up to 8 hours, that’s an entire day spent in the office looking fabulous. There are 10 colour hues to choose from so every woman is sure to find the perfect shade. Team your Lipstick purchase up with the new Giordani Gold Age Defying Pressed Powder and you’re sure to turn heads. The powder has been created to hide lines, pores and imperfections without settling into the creases of the skin. The high performing pressed-powder contains BeautAge Technology, an anti-ageing formula to help skin maintain natural moisture and reduce the appearance of signs of ageing. The ingredients are known to stimulate collagen and help prevent its breakdown. The result is skin feels soft, smooth and hydrated with a luminous, flawless and younger-looking complexion, in fact 81% of women said their skin looked more youthful having used the Age-Defying Powder. Try yours today at the exclusive launch offer price here in Catalogue 5. Next and you won’t believe your lashes with this newbie! Say hello to longer, stronger fuller lashes thanks to the Hyper Stretch Lash Serum. This high-performance serum boosts your natural lash length by stimulating keratin production, a protein found in your lashes. You’ll be flashing those lashes, as they’re encouraged to grow longer, fuller, stronger and healthier while preserving their natural elasticity and softness. 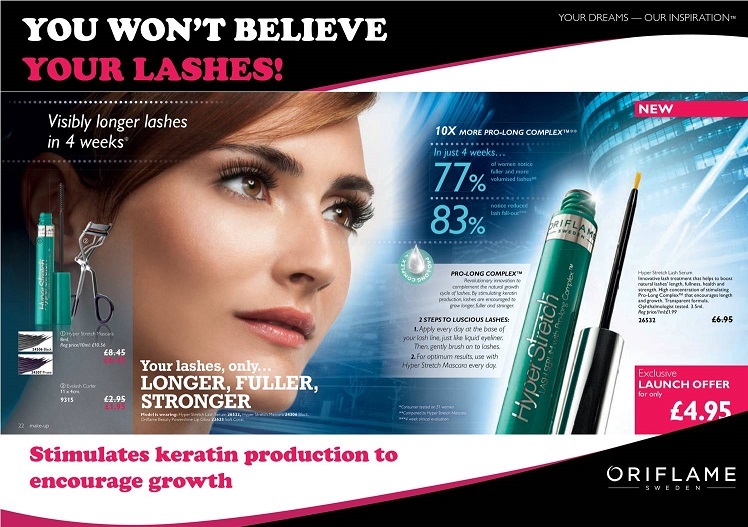 Hyper Stretch Lash Serum contains a high concentration of stimulating Pro-Long Complex™, a new innovation created by Oriflame scientists, which complements the natural growth cycle of lashes. This revolutionary ingredient encourages lashes to be healthier and visibly longer-looking – naturally - in just four weeks*. To boost the length, fullness and strength of lashes, the transparent serum should be applied every day to the base of lashes, just like eyeliner, and then just gently brush onto the lashes. Not only will lashes appear more voluminised, they will feel naturally stronger with a reduced fall-out rate** and be primed and conditioned for better mascara application. Try it today for only £4.95 and see the difference it makes in just 4 weeks! I’ve been applying and can really vouch for this product; it’s now an Oriflame favorite of mine. Another Oriflame favourite of mine as you all know is Studio and I’ve been waiting for the Cream Blush to launch since seeing it earlier this year. Blush in cream format is increasing in popularity on the market due to its main benefit of giving a very natural, rosy tint to the cheeks. The pocket-sized Cream Blush is a lightweight and it naturally sculpts and highlights the cheeks for a healthy glow. It’s easy to blend and gives a very soft, velvety finish and like the rest of the Studio Artist range it contains Illuma Flair Complex that diffuses light across the skin for a flawless finish and natural radiance in all types of lighting. Check out professional make-up artist ‘Jonus Wramell’s’ top tips in the Catalogue and give your cheeks that snippet of colour perfection ready for the lazy summer days. I’m certain summer is coming and hopefully by the time this you read this we will all be enjoying some sunshine. So be sure to stock up on our next newbies in Catalogue 5. The Sun Zone protection range. For the first time, Oriflame have incorporated Cellular Protection Technology into its sun care products, combining effective UVA and UVB filters with antioxidant Vitamin E and these elements work together to protect your skin from sun damage. All of the Sun Zone formulas are water-resistant – but don’t forget to re-apply them at least every 2 hours, and more often if you are swimming or sweating. The new lighter textures and pleasant fragrances really put a smile on the faces of bathers. The range offers a variety of SPF protection and packaging formats for the whole family, you can even use the Sun Zone protection lotions on the face. The Sun Zone range is tailor-made for delicate facial skin and they contain even more caring, moisturising ingredients and additionally have anti-ageing benefits. Apply lotions 20 minutes before going out in the sun to allow some time for it to absorb and start working and remember to pay extra attention to the most exposed areas, like ears, hands, neck and knees. Sun Zone After Sun lotions enriched with Aloe Vera are coming soon so keep a watch out for these. We are launching the new Sun Zone range with 25% off and at these prizes you can afford to stock up and qualify for the summer bag that’s our Catalogue 5 Beauty Bonus! Spend just £20 in the Catalogue and get the Juliette Reversible Bag for only £7.95 This would be a fabulous added extra for the beach and ideal for carrying your lotions in, in fact you would only need to take 1 bag away with you as this chic and stylish bag is reversible. Just turn the bag inside out for a totally different look that takes you from day to night. Another un-missable offer this Catalogue has to be the incredible back page offer from the Silk Beauty Range. Simply buy any other product in the Catalogue and you will qualify to get all 3 Silk Beauty products for just £5.95 , that’s amazing value, a whopping 60% off and you’ll get the nourishing body cream, hand cream and roll on deodorant, which I happen to know smells lovely and feels great under the arms. Silk Beauty is infused with exquisite silk proteins and lavish Orchid extracts to protect, smooth and soften the hands and body – it’s simply stunning, no one should be missing this offer. Another smashing offer to be had this Catalogue is the gorgeous new fragrance for him, Rival Eau de toilette is new in 5 with the fab offer price of just £13.99 for 75ml. The environment of the boxing ring influenced this masculine scent and the bottle has been shaped like a torso of a well-trained boxer. The woody-watery scent is powerful with a shot of black coffee in the base note with striking vibrant and zesty top notes. The perfumer wanted to create an exciting new fragrance for the champion who never backs down but with the warmth of elegance, sexiness and a sophisticated allure. Try the scratch and sniff in the Catalogue and aim this towards heavyweight contenders, it may be a few months away yet but I’m keeping this one safe for Fathers Day. Our top-selling Feet-up range has been with us for a while now and spring and summer is when the demand for these products is at its highest. So in catalogue 5 we’ve brought you a fab offer – priced at 40% off and with the new Foot care Set and Moisturising socks, it offers you the promise of cared-for and comfortable feet all summer long. I love a good pedicure! The Foot Scrub is perfect for smoothing away dead skin cells and softening rough and dry skin, with exfoliating salvia and almond. The 2 creams – one for overnight moisturizing is the perfect treatment when used with the Socks – and the Anti-perspirant Cream with pine and witchazel will help to control perspiration and reduce foot odours. The Reviving Foot spray will instantly cool and refresh and for toe-nail perfection use the clippers and emery board from the Footcare set to trim and shape, then the toe separator for perfect application of the Pure colour Nail Polishes, which you’ll find at half price on the back cover! If you need a more intensive attack on hard skin, look no further than p108 where the foot file is only £1.45 with the purchase of either of the aromatic foot creams featured here. Seriously this Catalogue has everything you need for perfectly pampered feet to showcase in your best summer sandals.